For music lovers everywhere, headphones are the perfect companion. Whether you listen to it on the go or prefer sitting at a quiet place and tuning into your favourite songs, headphones serve as the best companion. What else can make life more exciting than music? One doesn't get bored of music and of course, owning a headphone brings an extra cheer to your life. Because just like music, even headphones doesn't leave you. You can never get enough of it. Headphones let you erase all the external noise, thus enabling you to indulge in the world of music. Better sound and features is what one looks for while buying a headphone. With plenty of headphones available in the market, one is sure to get baffled. Once you make a choice of buying a headphone, there are certain features that you need to look into to make the best choice. 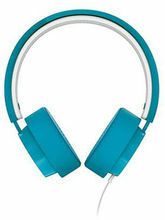 If you love traveling and enjoy strolling in the city, a nice pair of headphones can be a great accessory. Philips has the best quality headphones that can make your flights more enjoyable and even your morning or evening walks magical. 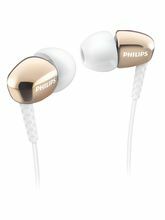 Although higher-end headphones do cost a lot, but with Philips headphones you don't have to spend a ton to get the best pair. The more you explore these headphones, you will desire them. Infibeam houses a wide range of headphones from the most sought-after brand, Philips. One can never resist to music when they have Philips headphones. Wear them for a long time and you would still feel comfortable. This is one of the best feature that every headphone from Philips possess. Explore the action-fit in ear headphones from Philips at Infibeam. Bold and stylish as they appear, they make your perfect gym workout and running companion. As you plug it in your ears and enjoy great sound, others stare at your stylish earphones. If you are looking for wireless headphones, then look no further as Infibeam stores an array of Philips wireless headphones. 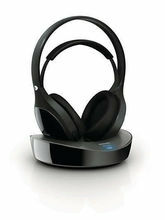 They are one of the best wireless headphones for music enthusiasts. Our online store also treasures Philips headphones with mic that helps you answer calls while the headphones are plugged into your phone. Experience crystal clear sound and isolate yourself from the outer world. Buy Philips headphone online at Infibeam and groove into unlimited music. 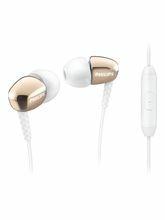 If you want to buy the best headphones, then make Philips your first choice.